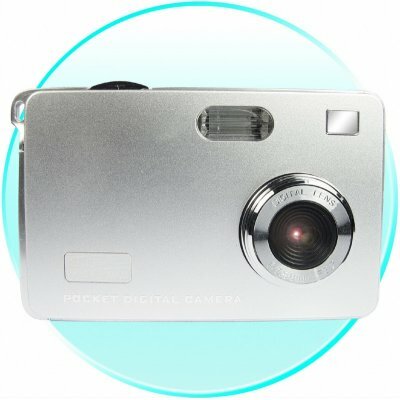 Successfully Added CMOS Digital Camera - 5.0M Pixel + Rechargeable Li-ion Battery to your Shopping Cart. Wholesale priced Digital Camera with 5.0 Mega Pixel pictures (8.0 via interpolation) a CMOS sensor for detailed and sharp pictures, and a rechargeable Li-ion for long camera battery life. With it abundance of features and nice solid feel, it is a good choice for any person looking to buy or sell a good Digital Camera. Note on Interpolation: Please note that this camera takes images in sizes equivalent to 8.0 megapixels. This is through a software resizing process on the camera called interpolation. The image sensor of this camera has a native resolution of 5.0 megapixels. Auto power off: never, 1, 2, 3 min. hi i am from trinidad. and i have buy many phones and never had a problem.u can trust these guys. very fast shipping only 4 days. The best Product. 2 days ago received its in Russia. Small, usable, look great. Photos are very good! I just receive this product.... I am very happy with the product. I have sold 3 of these cameras and every one I have sold them to have been pleased with the camera.